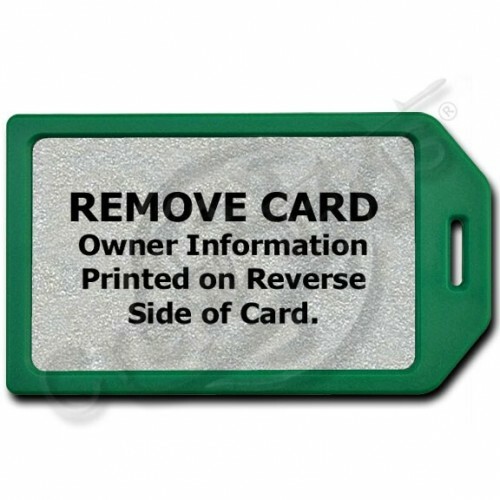 This Green Business Card Holder Luggage Tag holds a Metallic Silver PVC insert that is printed with up to 5 lines of text that you specify that is safely hidden on the reverse side. Don't need 5 lines of text? 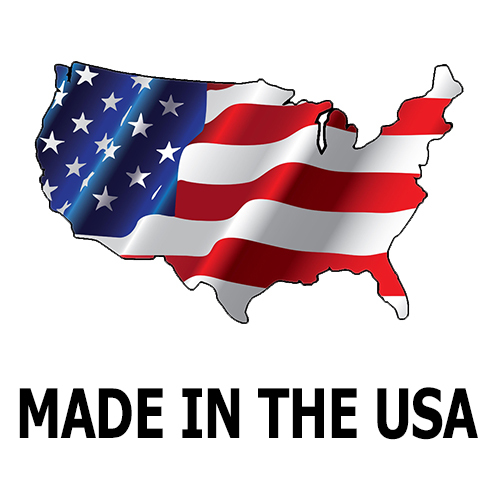 We will automatically center the text that you need. The Green Business Card Holder is molded from a solid piece of opaque plastic that wraps around a Metallic Silver PVC Card. 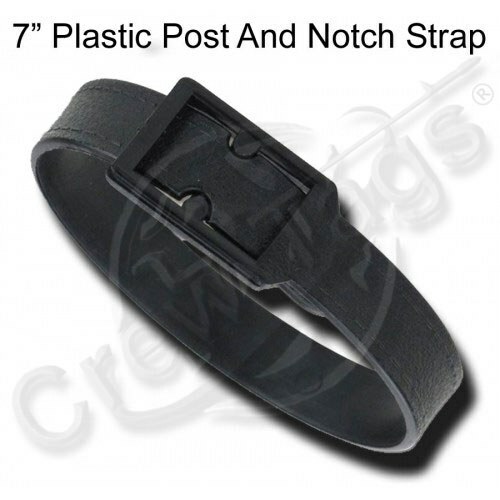 The PVC insert comes preinstalled and is covered with a clear plastic overlay that will protect the insert and lock securely in place once the strap has been inserted through the hole. 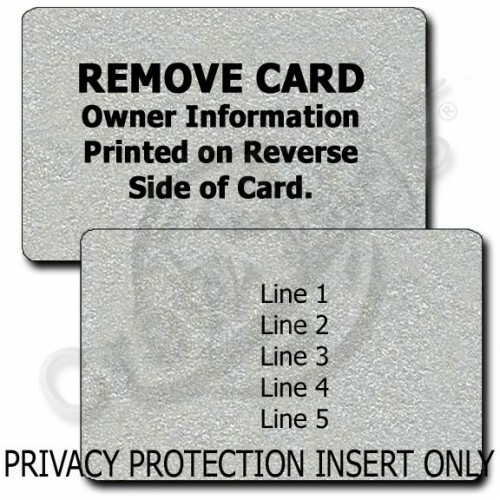 The insert is easily removed by removing the strap from the tag and sliding the insert out to view the contact information printed on the reverse side. 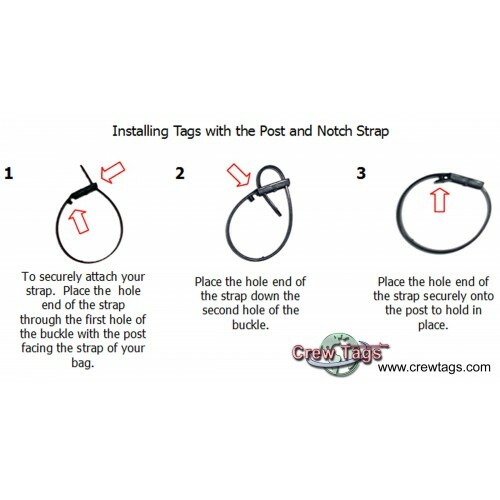 The Identity Protection Luggage Tag and Insert are waterproof. The printing on the insert will not run or wash off in water should it get wet. 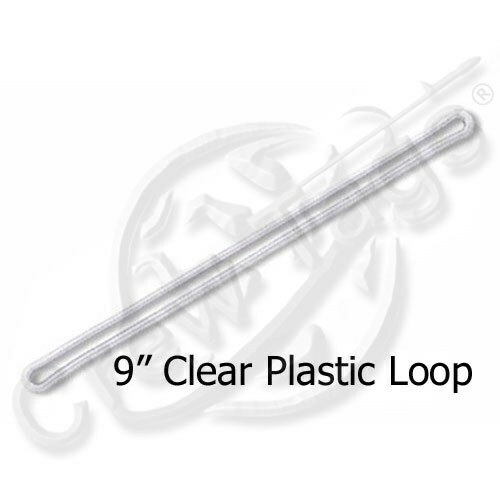 The Identity Protection Luggage Tag automatically ships with the 9" Clear Plastic Loop or 7" Black Locking Strap. 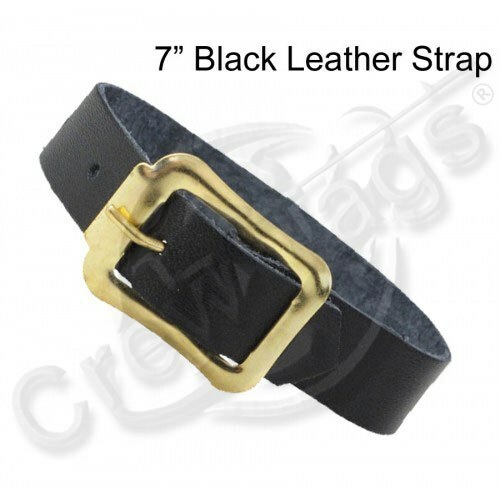 Optional 7" Leather Strap is also available. The Identity Protection Luggage Tag that you bought is great! Only problem now is that you moved and.. This Green Business Card Holder Luggage Tag holds a Metallic Gold PVC insert that is printed with up.. This Green Business Card Holder Luggage Tag holds a Green PVC insert that is printed with up to 5 li.. This Green Business Card Holder Luggage Tag holds a Light Blue PVC insert that is printed with up to.. 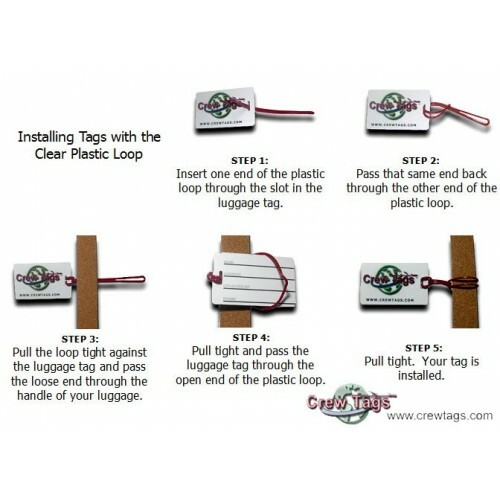 This Green Business Card Holder Luggage Tag holds a Red PVC insert that is printed with up to 5 line.. 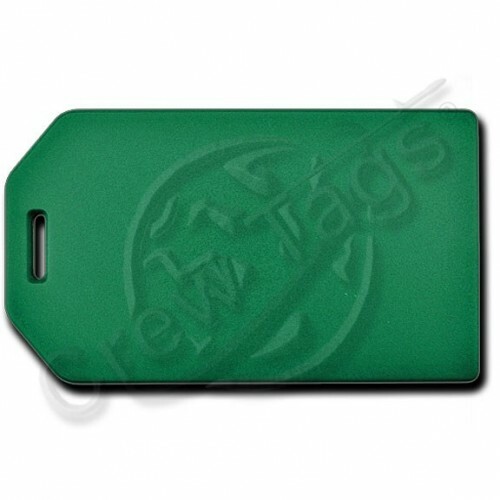 This Green Business Card Holder Luggage Tag holds a Blue PVC insert that is printed with up to 5 lin.. 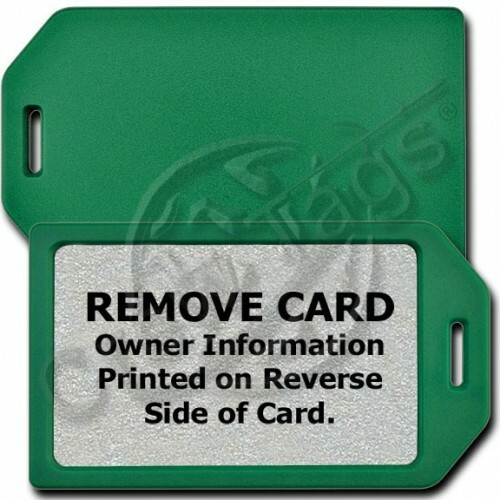 This Green Business Card Holder Luggage Tag holds a White PVC insert that is printed with up to 5 li.. This Green Business Card Holder Luggage Tag holds a Yellow PVC insert that is printed with up to 5 l..